I was actually at the Homeware section at Debenhams (top floor) to pick up a few Rose Gold Picture Frames for my adorable sister-in-law (my younger brother’s wife). They were going with a specific theme for their Living Room and I was planning on surprising them (well, her, mostly, ‘cuz guys kinda’ aren’t as interested in that kinda’ stuff) with the Photo Frames, later on. I was also starving because I didn’t get a chance to eat earlier. Plus, it was that time of the month, so I was craving some chocolate (which I normally can’t stand). So I grabbed a few snacks and some random items, from The Sultan Center (all the way at the opposite end of Soug Sharq Mall). Remember back in the day when they used to teach kids about Food Pyramids (grains, dairy, veggies, protein)? I managed to grab something from all the necessary food groups; Chocolate, Gummi Candy, Hard Candy, Potato Chips, and Savory Pastries. I’ve kinda’ been obsessed with collecting Hair Towels for the past decade or so. Aquis will always be my favorite, but I just can’t seem to resist purchasing Hair Towels, whenever I happen to come across them (either in-store or online). Turbie Twist, Mimi’s Diva Dryer, DevaCurl Deva-Towel, you name it, I’ve tried it. Supposedly, the microfiber is supposed to cut down on drying time, frizz, and do your taxes too, since it’s super absorbent. Honestly, I don’t notice much of a difference. I just twist my hair up in a Hair Towel out of habit. Plus, I don’t get exposed to the cold (be it from Winter or the A.C.) after a nice hot shower. I believe this Classic Hair Towel was also available in one or two other colors (besides Red) at Sultan Center, if you are interested. I loved the Suave Almond Verbena Anti-Perspirant (reviewed here)! So, of course I could never find it again (its the deodorant curse). However, I’ve really enjoyed using a deo-stick (as opposed to a roll-on) so I grabbed this deo-stick, in the scent Sweet Strawberry. Plus, Nirvana’s song “Smells Like Teen Spirit” (rip Kurt Cobain) was titled after this thing. Unfortunately, I haven’t been getting along well with it. The scent is a bit too juvenile for my taste (which is understandable… since I’m so far from being a teen lol) The mechanics are pretty bad too, because it refuses to retract (keeps getting stuck and won’t go back down, unless I actually push it down with my finger). This was a spur of the moment buy (based on the song, really), and it’s safe to say I won’t be repurchasing it. I love this stuff! I grew up with it (way back when)! 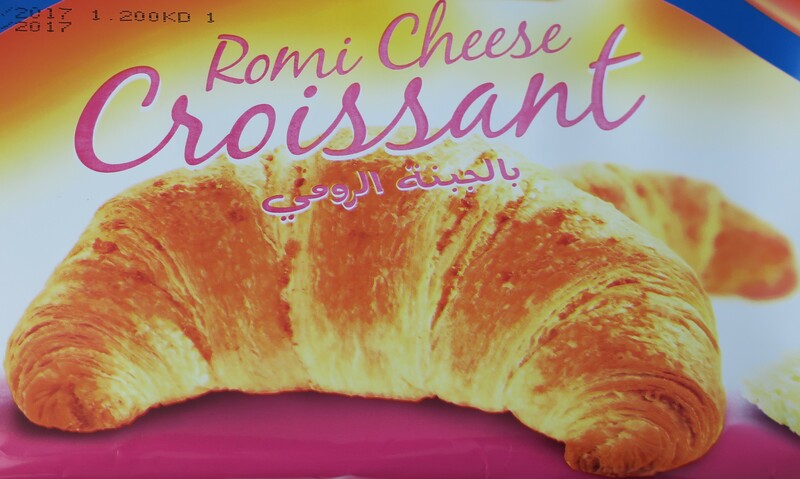 It comes in several flavors; Feta Cheese, Romi Cheese, Zaater (Oregano), Strawberry, Chocolate, Honey, and Plain, either in a large pack of 8 full-size Croissants (as shown) or a small bag of 10 mini Croissants. 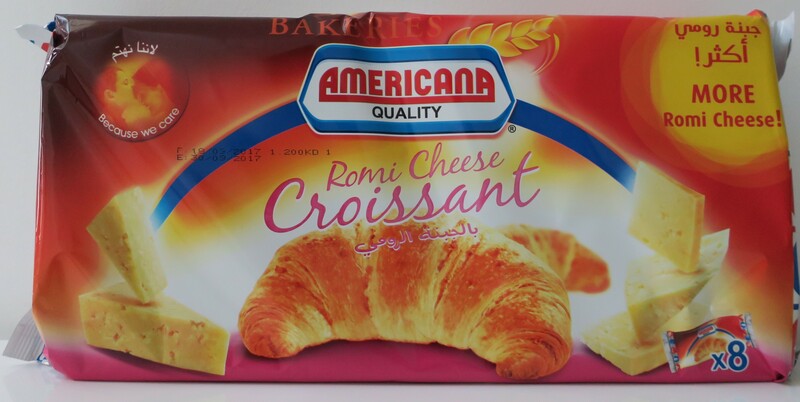 I can’t stand Feta Cheese (white cheese) whether on a Croissant or anywhere else, which is why I’ll always opt for Romi Cheese (closest thing to cheddar availabe). Even though I’m partial to Oregano, it has a tendency of getting stuck between teeth (not a good look) so I’d rather avoid it. The Plain ones are pretty good too. On occasion (that time of the month) I might have the Chocolate ones, but I’d never touch the Strawberry or Honey ones. So there you have it, pretty good options for those who are in the savory camp (such as myself), and for those who are in the sweet camp. These were dryer than usual, didn’t taste that nice, and honestly, I’m so over them! I don’t think I’ll be repurchasing these Lay’s Forno Lemon & Black Pepper Potato Chips ever again! So good! Basically, these are hard candies with a really tart (almost fizzy) insides! Plus, they’re textured (fun!) which is… different. Plus, they’re lemon-flavored, which I love! 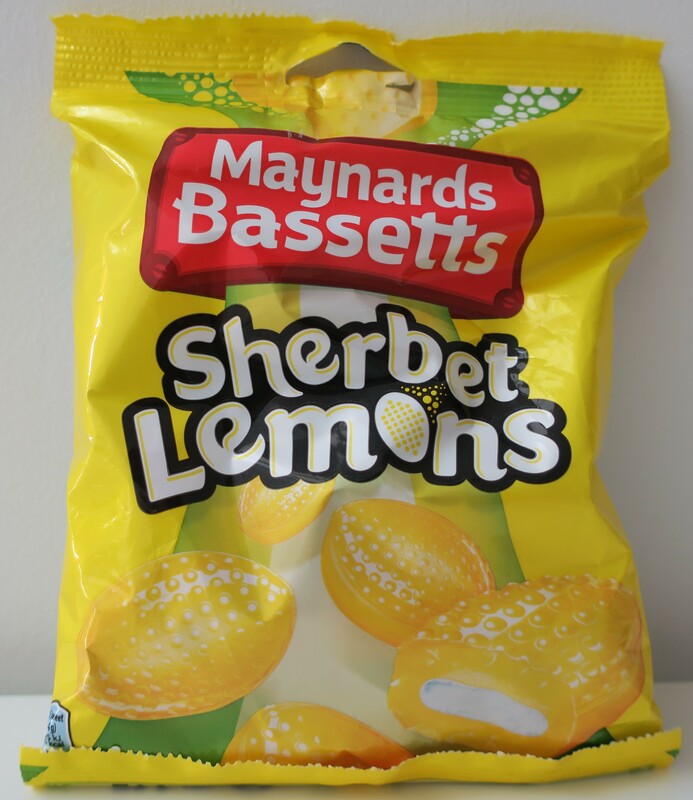 I thought these Sherbet Lemons would be a good dupe for the Marks & Spencer’s ones but they’re not. However, I enjoyed them just the same. My one true love! I don’t think I’ll ever get sick of these Haribo Worms. I love Gummi Candy in general but these are the best! First of all, they’re not coated with sugar (can’t stand Gummi Candy that has stuff sprinkled on them). Second, they taste nice and sour (well, depending on the color/flavor). Third, they’re sufficiently chewy! I love me some Haribo Worms! Like I said, it was “that time of the month”, and as such, I was craving some choco. I tend to stick with the regular Kinder Bueno, but I noticed that they were also available in White (so many jokes… but I’ll leave it alone). So, I grabbed 2 of each. Incidentally, I couldn’t finish the first Chocolate Bar of Kinder Bueno White and had to give it away. You never do me wrong Aero, and for once a month, all I want is YOU and your perfectly aerated chocolate (that’s not too chocolate-y)! Everyone loves these! 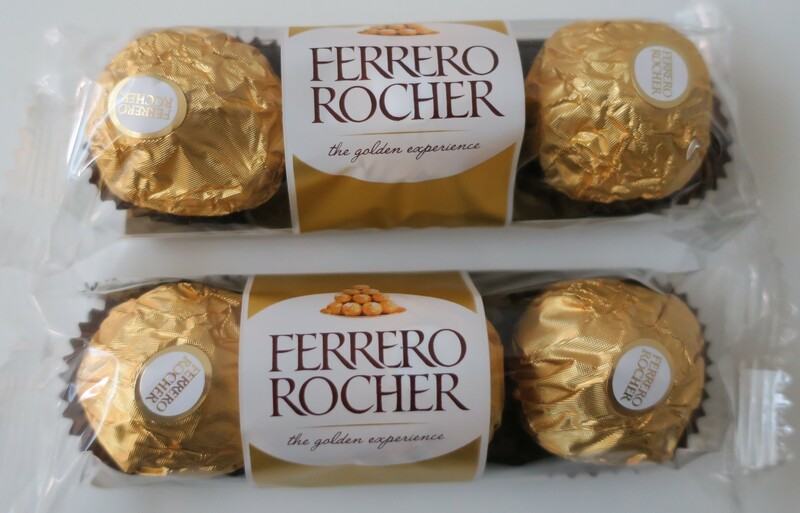 I got 2 stacks (3 pieces each) and only managed to eat 1 piece before they were all gone lol It’s not my favorite because it’s got too much going on for my taste (wafers, crushed nuts topping, cocoa hazelnut filling) but Ferrero Rocher is a serious crowd pleaser!